The designers and artist you need to keep an eye on – the ones to watch. 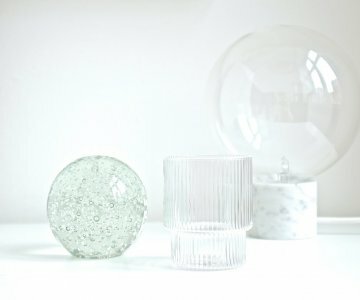 This week the love goes to the works of Belgian artist Stan Van Steendam. 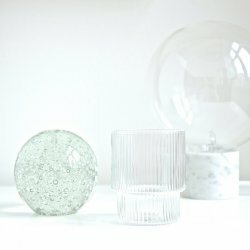 A solid glass sphere that works as a decorative object or a paperweight, a rippled water glass and my favourite marble lamp. Contains affiliate links.